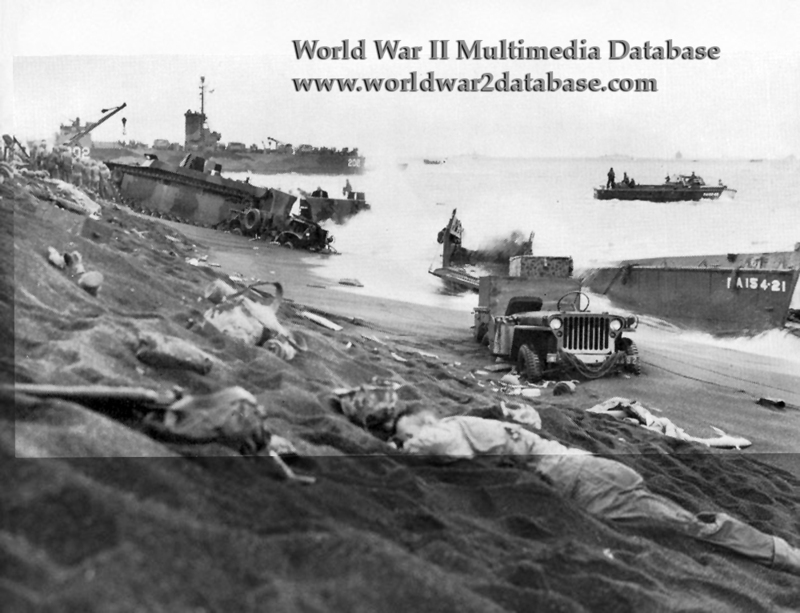 LSM-202, (Commanded by Lieutenant David Thurlow, US Naval Reserve) beached on Red Beach in the 5th Division sector at Iwo Jima on D-Day. Marine dead, vehicles and equipment litter the beach. The soft volcanic ash caused equipment to bog down, then the surf would break them up. The LCVP at right is from USS Lowndes (APA-154). LSM-202 later evacuated wounded from the beach before withdrawing on February 26.